Home / first time pet owners / life hacks / owning a pet / stress management / Technology / First Time Pet Dog or Cat Owner? Read This! First Time Pet Dog or Cat Owner? Read This! Owning a pet, such as a dog or cat benefits all members of the family. Studies show that kids with pets learn to be responsible, develop self-esteem, and is overall healthy (unless they already have a health condition such as asthma). Parents on the other hand will definitely be thankful for the stress relief derived from playing and taking care of pets. Even singles enjoy the company of pets. I, for one, feel relaxed just watching fishes swim at a medium sized aquarium at a corner of our humble home. I also feel good feeding stray cats which frequently hung around close to our place despite protests from my husband. But our child had always wanted a dog, a Shih Tzu in particular ever since she was introduced to Jag, my husband's aunt's pet. So after scouring various websites and Facebook groups with classifieds for pets, we finally found a contact with puppies for sale that are within reasonable price. See Mar Oraci on Facebook. Although I am not promoting buying (adopting is better), there's not really anyone who would give these cute pups away for free are there? Even one of my husband's aunts who has numerous Shih Tzu pets won't easily part with them for sure. Aspins are also normally for sale. Going back to the seller, we agreed to meet within minutes after messaging over Facebook and we headed for the meetup all the way from the south to the north (SM North Edsa) in 2 hours or less if I remember right. And the rest is pet history. Here is the cuddly, friendly pup originally named Snow. We retained her name since she won't answer to Bubbles. She likes the nickname Snowie as well. So if you're planning a first time pet owner, it's best to contact personal breeders who take care of the animals at home. 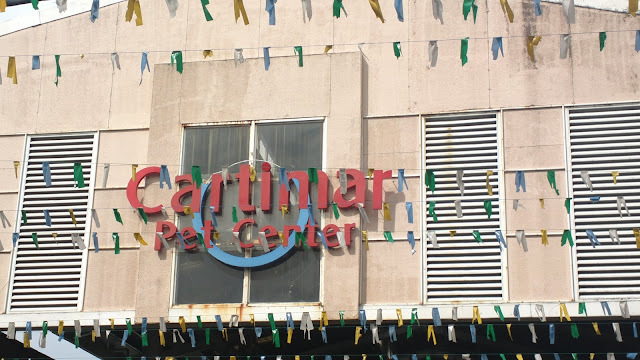 I've read and heard horror stories about pet store caretakers who abuse the pets for sale; not to mention that they sometimes add additional price on top of the original cost of the pet according to some in certain forums and social media pages. As much as possible, get a puppy or kitten or any pet that's young enough so you can watch them grow and be more familiar with their mannerisms, behavior, and personality. Yes, even animals have distinct characteristics and individuality although they're not individuals (humans) per se. A pet can be considered and should be treated like a family member too. We for one, take care of Snow like we would if we had a newborn. Some people even adopt dogs and treat them literally like children to the point that these pets become a substitute for kids even if they sadly can't conceive one. We got all initial supplies for our puppy through Furry Tails which was conveniently located close to where we parked. Their model dog, a Chao Chao with multicolored hair (most likely temporary dye) is always slouching by the door and is very friendly. Most of the products they sell and services offered (grooming) are also more affordable compared with other similar stores. 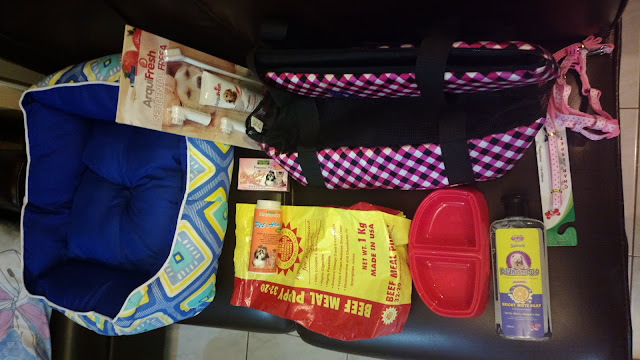 Some of the items we initially got include a bed (but she prefers the cold tiled floor), food & water bowl in one, toothbrush & toothpaste, comb (but the brush at home is more effective), soap, shampoo, powder, carrying bag (she loves strolling! ), and dog strap for walking. Speaking of walking, teach the dog to pee and poo at specific times by walking them outside. It can be done once or twice a day such as one in the morning and once more in the evening. We didn't know any of these at the beginning so it was a disaster! She littered all over the place but eventually learned anyway. But if you can't walk the dog outside (raining, flooding, or simply busy), you can use a potty trainer or disposable pet pad instead. It's advisable to bathe pets twice or thrice weekly. Don't take too long when doing so. Wipe water drips with their personal towel and air dry inside a cage or use a blower. If you plan to bath them several times more per week, make sure the water's not cold or hot enough. Otherwise, you can just clean common dirty body parts such as the mouth, legs, and bottom through wet wipes or a clean towel. An optional item to have for pet dogs or cats are blowers. I don't even use one but our puppy does. :) The American Heritage brand below is quite affordable at less than Php 500; other models are even more inexpensive at 299 or 399 pesos. It was purchased from Lazada. 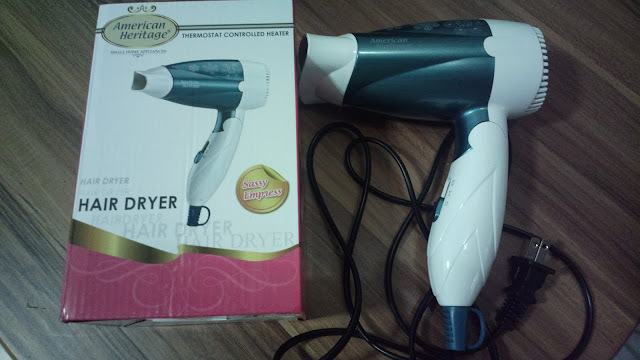 So while blow drying, brush their hair to remove tangles and keep their hair shiny. Another optional item is a cage where you keep your pet at night or in case you need to leave them momentarily. This prevents them from destroying stuffs, particularly dangerous electrical cords at home. 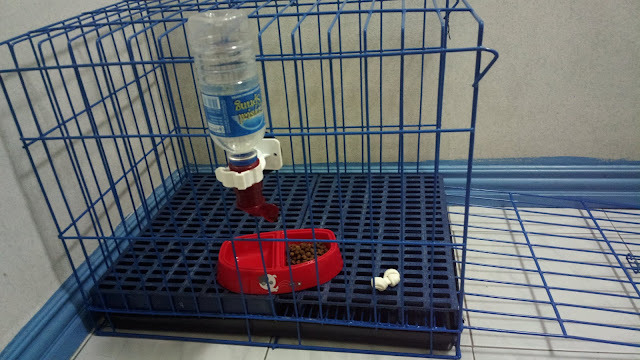 In the image below, a water dispenser is attached and a bone treat for chewing (and teeth cleaning) is seen. Our pup rarely use this anymore as she no longer bites things. To teach pets to behave such as prevent biting off things that are off limits for them, pat them softly but firmly at the mouth as soon as you catch them. You can also say "no." If they understand, they will normally flee to a corner, guilty. The cage by the way was from one of the pet stores in Cartimar. You can choose from generic inexpensive types to branded ones. The same applies to all other pet supplies and items. Cartimar is located at Taft Ave (Leveriza St.), Pasay City.